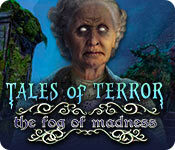 Tales of Terror: The Fog of Madness is rated 3.4 out of 5 by 7. Rated 5 out of 5 by Majestyx12 from Why can't I speak to the Villagers? Based on the completed game. It has the hops I like. The list kind that are lovely. I counted 19 hops. I like my games relaxed and it was challenging enough for me. I liked the mystery of it. The raspberries look like strawberries. The custom setting has zero sec skip and hint. It didn't feel like a short game to me. 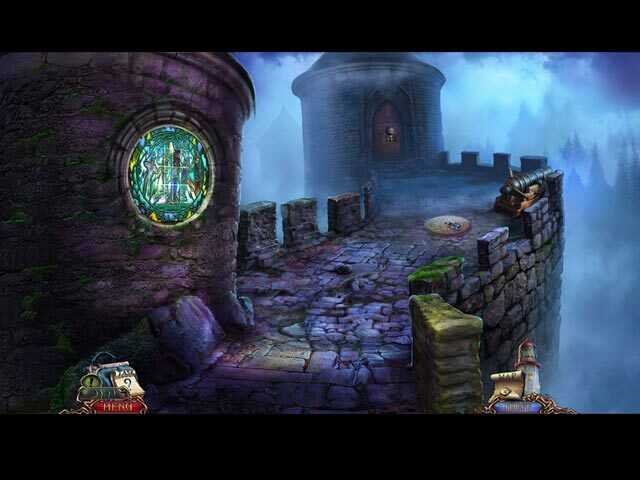 They also made Haunted Train, in that series I liked Spirits of Charon and Frozen in Time. They also made Medium Detective. Rated 4 out of 5 by ninja226 from Almost perfect game This is almost a perfect game, except for a few puzzles where instructions didn't make much sense. One example is a puzzle where you move stones to the "pit" but I couldn't figure out which was the "pit". The instructions should have had an overlay indicating which one was the pit, because it wasn't apparent to me. 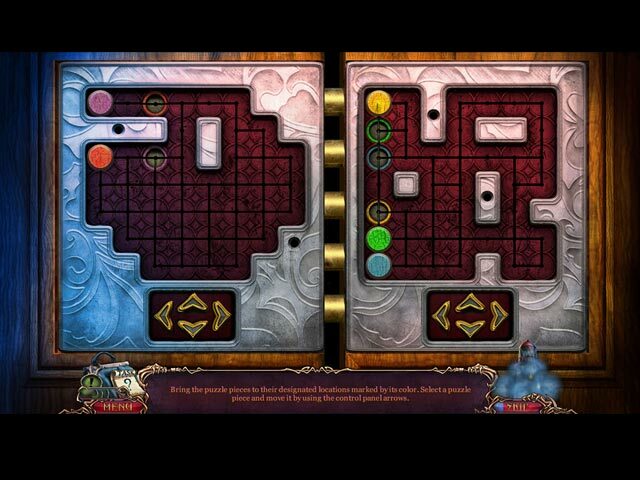 The puzzles in the middle were harder than the ones that end the game. HOPs used finding pairs of objects quite a bit, but were not hard. Besides that, this is an excellent game. Artwork is excellent and high def despite taking place in fog. The story is excellent. Sleuthing is fun. Rated 4 out of 5 by SparkleGlow100 from 3.5* Available at BFG since 2018. Review based on completed game. The first 2/3rds of this game is a 5*. HOWEVER, after that the plot basically loses its way...in the fog. and the eventual explanation itself is unsatisfactory. What I DID LIKE was the initial atmosphere of the apparent mystery, the moss ‘n rocky surroundings, the doom and gloom of the castle and evening, as well as all the fun HOPS. Rated 2 out of 5 by Yurnmesis from Trial: Sadly Nothing New. Just OLD! Graphics and characters are well done, but the feel of the game was old and tired. I didn’t finish the trial because I found it an effort to continue as long as I did. 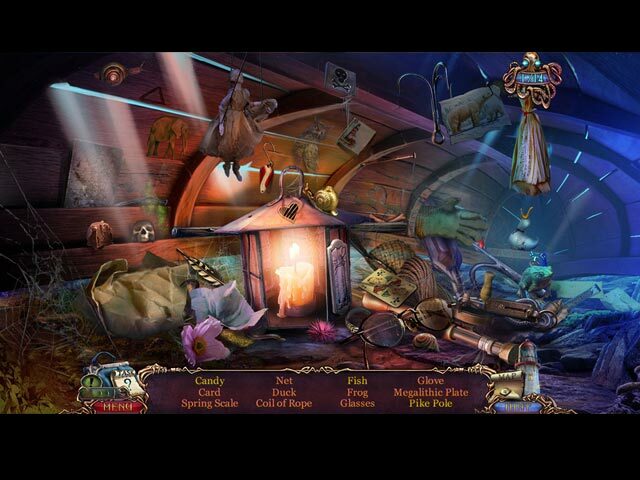 Nothing new in Hidden Object Games and Mini Games are old, tired games that lacked anything new or interesting in my opinion. Also there are too many of them for time fillers. I find it sad that a number of recent offerings lack new, innovative or updated content and are not worth my time or effort. Occasionally I find a diamond but more often a lump of coal. To be fair, give it a trial run. Rated 2 out of 5 by roaming from Demo Better Than the Game I'm sorry I wasted a game credit on this one. The demo promised more, but the rest of the game devolved into yet another game exactly the same as the last 10 or 20 you played: boat crash on rocks, escape handcuffs, escape room or jail cell, put out a fire with a hose or extinguisher that you have to find and/or repair and meanwhile the fire never gets any bigger; use a coin as a screwdriver, find a something to replace a broken zipper pull, find something to drag something else out of the water, use a smoker to drive away bees, play a mini game to get the combination to a safe, turn off steam and/or water valves, etc. etc. etc. I like HOS, and there are a good number of them in this game. However, toward the end they became so simple with all the objects in plain view that a young child could solve them.